With three strategically located Asphalt Manufacturing Plants, Ferebee is able to Minimize Product Delivery times while Maximizing the efficiency of our daily operations and provide our FOB customers with quality mix and convenient locations in a timely manner. The Concord Plant opened in 1999. Easily accessible to I-85, the future development of I-485, Mooresville, Concord, Kannapolis, Huntersville, Mint Hill and the surrounding Lake Norman area. The Charlotte Plant opened in 2004. Located at the I-77/I-85 Interchange. Convenient central location and easily accessible to Uptown and the surrounding Charlotte areas including Belmont, Gastonia and Lincoln County. The Pineville Plant opened in 2007. Easily accessible to I-485, Ballantyne, South Charlotte, Fort Mill, Rock Hill, Hwy 521, Waxhaw and Lancaster. NCDOT and SCDOT Certified Mixes. 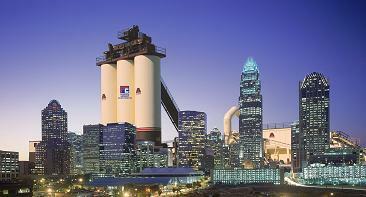 All Asphalt Plants are North Carolina Department of Transportation certified. Our accredited HMA plants are rated at 300 tph. Our routine-maintenance program helps prevent breakdowns and provides a clean and safe environment. We proudly accredit Ferebee Asphalt Corporation’s personnel for maintaining our impeccable record of cleanliness on the plant sites and for producing quality asphalt.